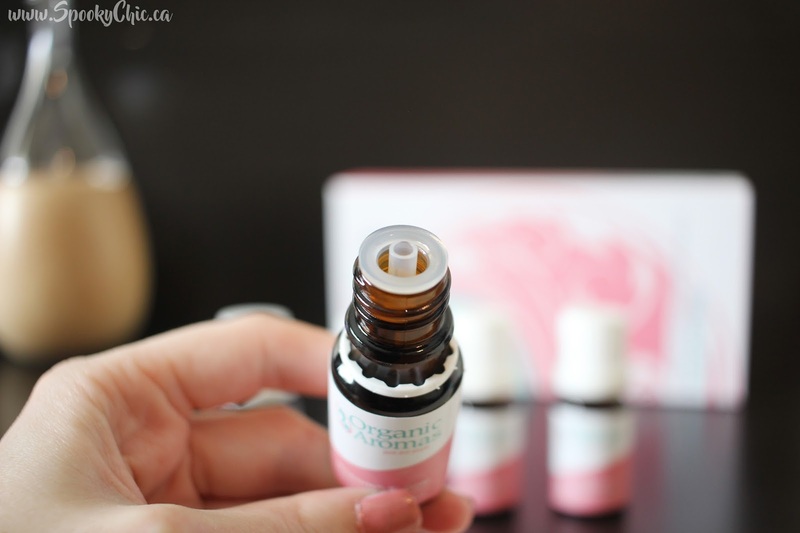 Back at it again with another blog about Organic Aromas but this time it's about their new Premium Essential Oil Blends collection! In the past I have written about their Raindrop diffuser which you can read about HERE and is the diffuser you'll be seeing in these photos. This blog will contain a ton of information because that's important when dealing with essential oils safely! "The Elements Premium Essential Oil Blends Collection is a masterful compilation of ten remarkable and unique scents. The product of years of research and comprised of over 60 different pure essential oils, this exclusive collection is a unique combination of the some of the most powerful natural medicines available on Earth." The collection Elements Premium Essential Oil Blends has two separate sides, each being Awaken and Inspire. 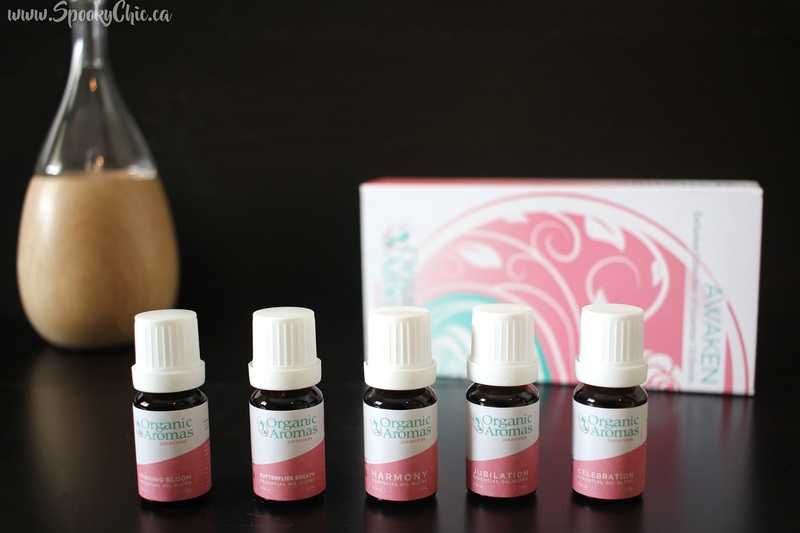 They each hold five different essential oil blends, all with different uses and scents! The entire collection sells for $144.61 CAD or you can purchase each half for $77.56 CAD, OR you can even purchase each essential oil singly for $19.72 CAD. You save $52.59 CAD buy buying the entire collection though! This is the Inspire collection, it has Ocean Breeze, Formosa, Meditation, Welcome Home, and Pacific Northwest. 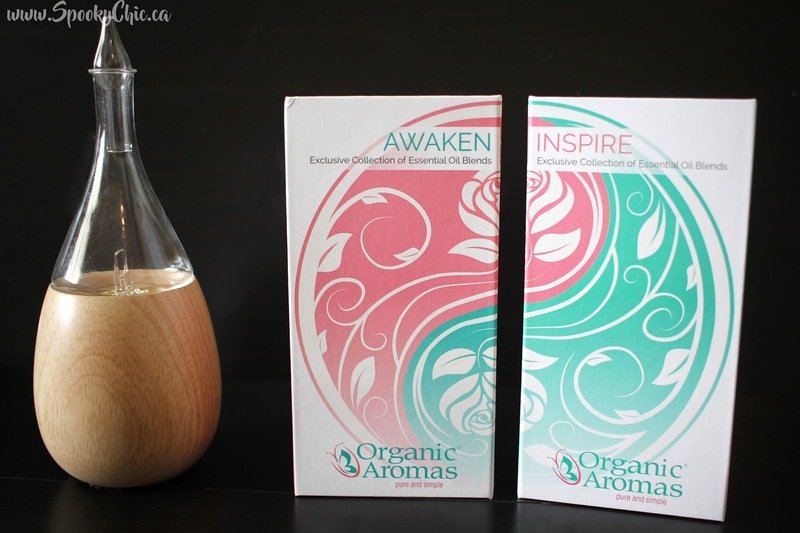 The scents in Inspire are robust, woody, earthy, and fresh. Ocean Breeze contains lime, eucalyptus, cajeput, coriander peppermint, sweet fennel, and geranium. It's benefits and uses are an amazing crisp scent, can be used as a purifier and air freshener, it's a strong anti-depressant and stimulating and energizing. It's a very bright and fun scent, you can definitely smell the lime. It kind of reminds me of a green Creamsicle. Formosa contains hinoki, tea tree, amyris, rosemary, tangerine and aloeswood. It's great for meditation, a powerful antioxidant and antiseptic, grounding and balancing, and encourages a sense of well being. It reminds me of the scent that a tattoo shop smells like from the stuff they use to clean your skin, which makes sense because it is a antioxidant and antiseptic. Meditation contains benzoin, dill seed, clover, rosewood, bergamot, myrtle, amyris and sweet fennel. It is a bold aroma with fruity top notes, it can lessen fatigue and speed recovery, has mild sedative properties, and is refreshing and revitalizing. This reminds me of the scent as soon as you walk into a health food store, so welcoming and sweet. Welcome Home contains pine, cedarwood, patchouli, eucalyptus, lemon, jasmine, tagetes and petigrain. It's a sophisticated scent, a effective insect repellent, strong enticing and pleasing, and a good anti-inflammatory and detoxifying agent. The lemon scent is strong at the end, I can definitely see it being a good insect repellent. Pacific Northwest contains pine, cedarwood, patchouli, cypress and juniper. It's a very clean scent, balancing and grounding, anti-inflammatory, helps to treat skin ailments, and is a proven powerful antiseptic. It reminds me of a warm cedar sauna room. This is the other half, the Awaken half of the collection. It also contains 5 different essential oil blends and they're sweet, floral, fruity and mild! I am definitely more a fan of Awaken because I have a huge sweet tooth. Morning Bloom has Egyptian geranium, jasmine, elemi, ylang ylang, palmarosa, and sweet orange. It's a striking floral scent, a great air freshener, strengthens the immune system, promotes a positive mental attitude and smells better than a bouquet of flowers! It smells exactly like a bright and warm sunny day in a field of flowers. Butterflies Breath has Chinese tea tree, celery seed, spearmint, gergamot, Egyptian geranium, palmarosa, and cedarwood. It is charming and uplifting, helps your emotional wellness, is a good anti-viral, perfect for events and gatherings, elevates your mood and helps intimacy. It smells almost buttery with a fresh breath of spearmint, very refreshing. Harmony has lemon, eucalyptus, cypress, rose, chamomile, lime, nutmeg, oregano and thyme. It's an exceptional scent, strengthens emotional bonds, fights infections and helps your respiratory system, helps relieve nervousness and anxiety. This almost has a slightly spicy but sweet scent. Jubilation has lavendin, petitgrain, pine, amyris, chamomile, jasmine and ginger. It's bright and captivating, very relaxing, helpful for insomnia, and is a great healing agent. Celebration has basil, cinnamon, clove, sweet fennel, mellisa and geranium. It's a vividly appealing scent, has slimming properites, can help relieve digestive issues, rich in antioxidants, also used to fight oder and detoxifying the body. It is very sweet and cinnamony. 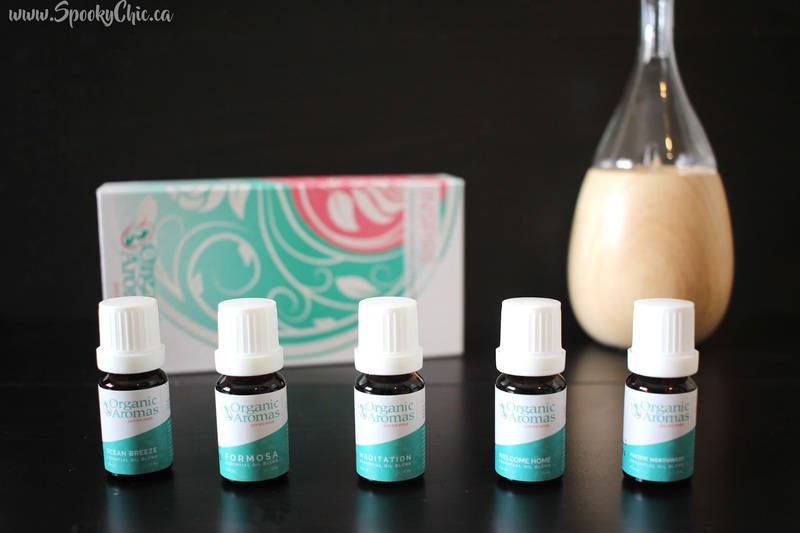 The top of each container of essential oils looks like the photo below, which makes it very easy and clean to drop into your diffuser while having control. I am always falling more and more in love with aroma therapy and can't wait to enjoy all of these!